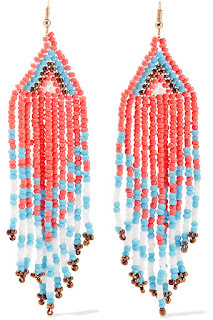 There are some pieces of jewellery that scream holiday and as the hot weather starts to have us all dreaming of that city escape or beach getaway. 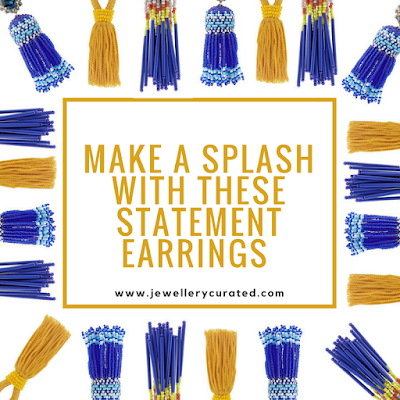 Tassel and beaded earrings have been all over the catwalk recently and are an easy way to add something bold and colourful to your jewellery box. 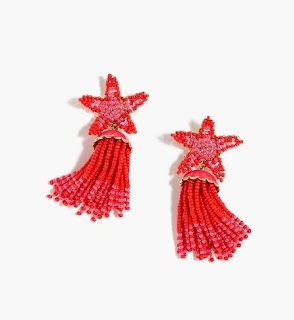 If you're looking for something really classic and iconic then go for a signature pair of Oscar De La Renta tassel earrings or for something still modern then Shourouk. 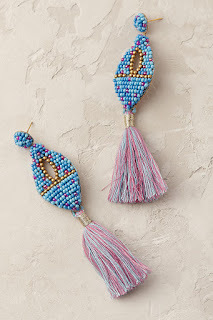 If you're looking for something a little more purse friendly then Anthropologie and J Crew are a great place to snap up some tassel earrings at a great price. 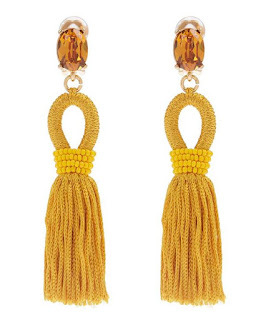 I've never really seen very good tassel earrings at other high street retailers as the technical requirements are a little bit more complicated than your average minimalist earrings. 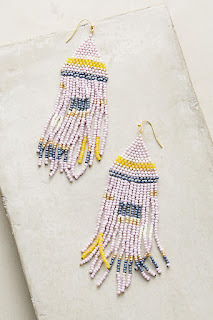 Beaded tassel earrings are very useful on holiday when you are wearings these earrings on the beach, beside the pool or even in the ocean, as the earrings are often made of hard-wearing materials such as enamels, acrylic and glass seed beads. 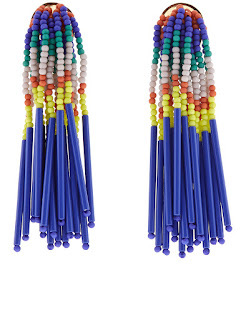 I've definitely seen more colour blocking styles of earrings than mixed beads in recent years. If you're choosing a pair in a colour block go for a primary colour for maximum impact. Whereas if you're going for a multicoloured style, pastel colours can look great and more interesting. 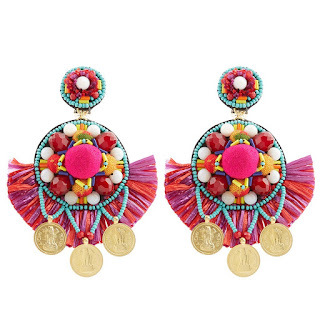 I love that these colourful and bold earrings can uplift any outfit. 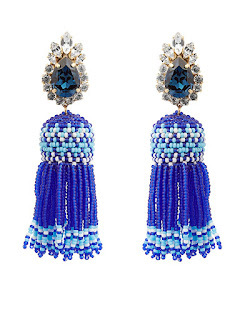 Big statement earrings are a bit like the high heels of the jewellery world. 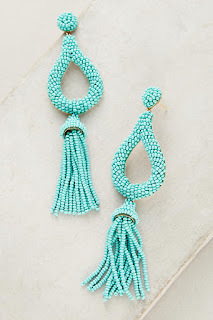 Not everybody feels like they can wear them and they make an instant loud statement. 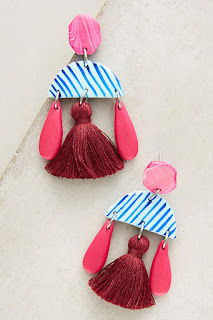 When I'm stuck in the office over the summer and feel like everyone else is on holiday I often wear a statement earring to lift my mood and give me that holiday feeling. 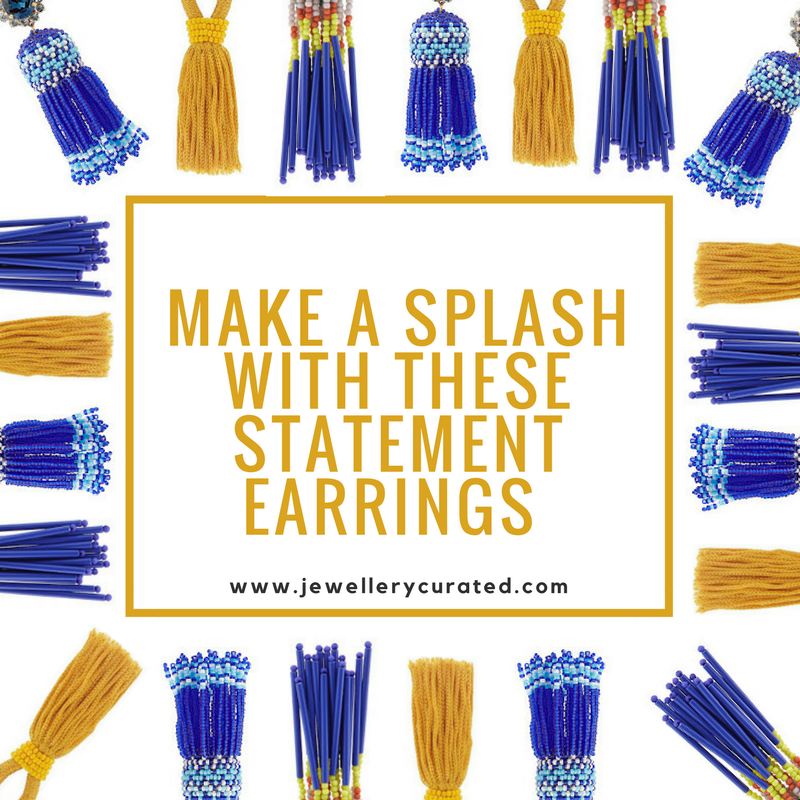 So don't forget to pack one pair of tassel or beaded earrings to get you from beach to bar and let me know which if your favourite pair. 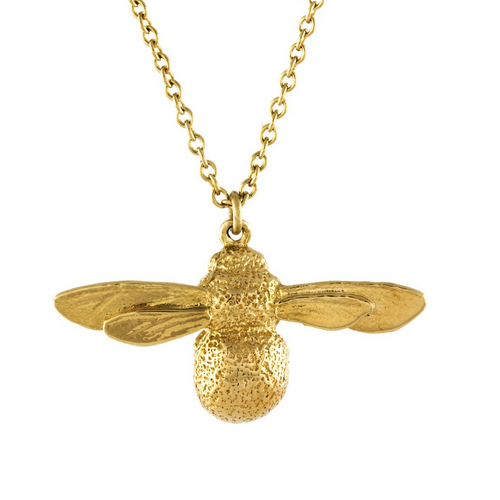 Have you been following the Jewellery Curated Summer Holiday series? I'm posting every other day in July and it's all about the summer holidays and jewellery to wear this time of year. 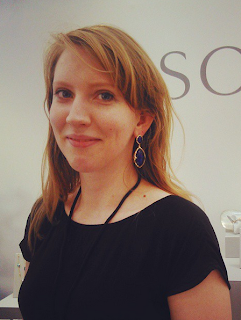 Read all about my favourite jewellery holiday trends, the perfect holiday gemstone, and 15 pieces of jewellery that every mermaid owns.